If you’re like most people who come from up north, you probably think shopping at a mall involves traversing a large 3 or 4-story building abounding in escalators. Well, a shopping mall in the Fort Myers-Sanibel area is a little different! Experience Southwest Florida shopping at its finest, with our beautifully constructed outdoor malls. At the outlet malls in Sanibel, Fort Myers, and Estero, you can walk in and out of your favorite stores while enjoying the Florida sun and open airways! 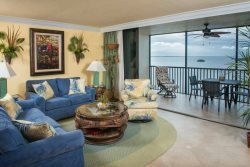 All locations are conveniently close to our rentals in Sanibel Harbour. Located less than a mile from Sanibel, Sanibel Outlets is an outdoor outlet mall featuring an array of name brands at discounted outlet prices! Brands include Polo Ralph Lauren, Gap, Loft, Nike, Coach, and Tommy Hilfiger. Outdoor mall with unique boutiques, popular name brands, great restaurants and movie theatre! Its open-air spaces feature fountains, lush greenery, and shaded resting areas for the weary shopper. Shops and boutiques include Williams-Sonoma, Chico’s, White House | Black Market, Victoria’s Secret, Pink, Fab’rik, Scout & Molly’s Boutique, and Talbots. Edison Mall is the only indoor mall in Southwest Florida, making it a great place to shop while escaping bad weather! The shopping center holds over 160 stores, including Macy’s, Dillard’s, JCPenney, Victoria’s Secret, Bath & Body Works and Books-A-Million. Additionally, the mall-hosted events provide entertainment when you’re taking a break from shopping. Gulf Coast Town Center is a shopping mall in south Fort Myers, with numerous stores, casual restaurants, and a movie theater! Visit their website for a list of deals and sales currently available at their stores. A beautiful, open, Main-street style shopping mall in Estero with 113 stores and 25 restaurants, all surrounding several acres of lakes with a boardwalk. Its stores include Dillard’s, Target, Apple Store, Michael Kors and Barnes & Noble, offering a variety of products from jewelry to sporting goods. Their dining options are also sure to please your palate, ranging from the refined Ruth&s Chris Steakhouse to fan favorites like California Pizza Kitchen. An outdoor mall located on Sanibel Island, Periwinkle Place has been selected by the Lee County Visitors & Convention Bureau as Sanibel’s top shopping destination. It hosts 26 specialty stores and boutiques, including the original Chico’s, a day spa, and a golf course. During June and July, shoppers are treated to live music performances that echo throughout the lovely shopping oasis. This Estero outlet mall features over 140 stores with discounted outlet prices, offering brands such as Saks Fifth Avenue OFF 5TH, Neiman Marcus Last Call, Bloomingdale’s The Outlet Store, and more! It is pet friendly, provides wheelchairs and strollers upon request, and has a kids’ play area.